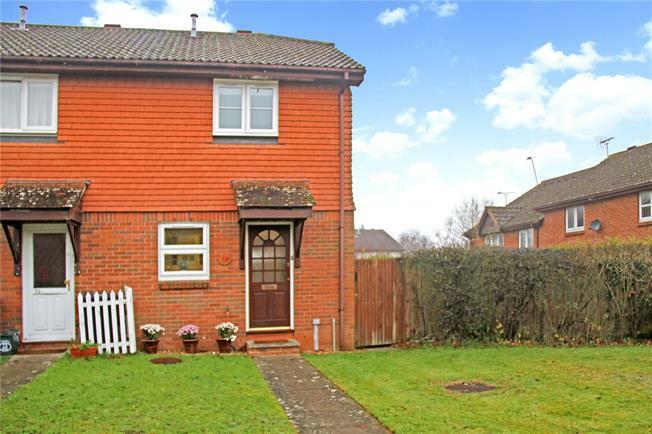 2 Bedroom End of Terrace House For Sale in Farnham for Guide Price £275,000. Located in a quiet development is this well presented, end of terrace two bedroom home which can be found in the popular residential district of Wrecclesham. Having been improved by the current owners this offers a bright and airy feel. To the ground floor the entrance hall leads to the front aspect kitchen and the lounge to the rear. The kitchen has fitted units, an integrated oven, and space and plumbing for a dishwasher and washing machine. The lounge has double glazed French doors to the enclosed garden. To the first floor there are two double bedrooms, and a modern three piece bathroom. The immediate area is well served with local shops, pubs and restaurants and local schools for all age groups. The centre of Farnham, with its wide principal street and attractive Georgian architecture offers and comprehensive range of shopping. leisure and cultural facilities as well as a mainline station to Waterloo. Within a short distance on the outskirts of town are many miles of open countryside, much of it under the ownership of the National Trust providing excellent walking and riding country, including Bourne Woods, Frensham Ponds and Alice Holt Forest. To the front the garden is laid to lawn with a pathway leading to the front door, and side access to the rear garden. The rear garden is mainly laid to lawn, enclosed by panel fencing and shrub borders. To the immediate rear of the house is a patio area ideal for entertaining, to the rear of the garden is a log cabin with power. There are also two allocated parking spaces offered with this property. 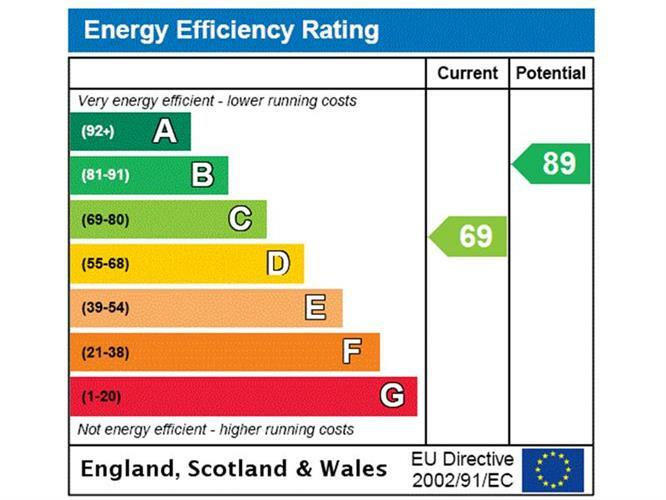 The sellers inform us there is an annual service charge for the development of £120 per year.